Whisk Mojo Sauce ingredients in small bowl. Set aside. Cut beef steak into 1-1/4 inch pieces; season with pepper. 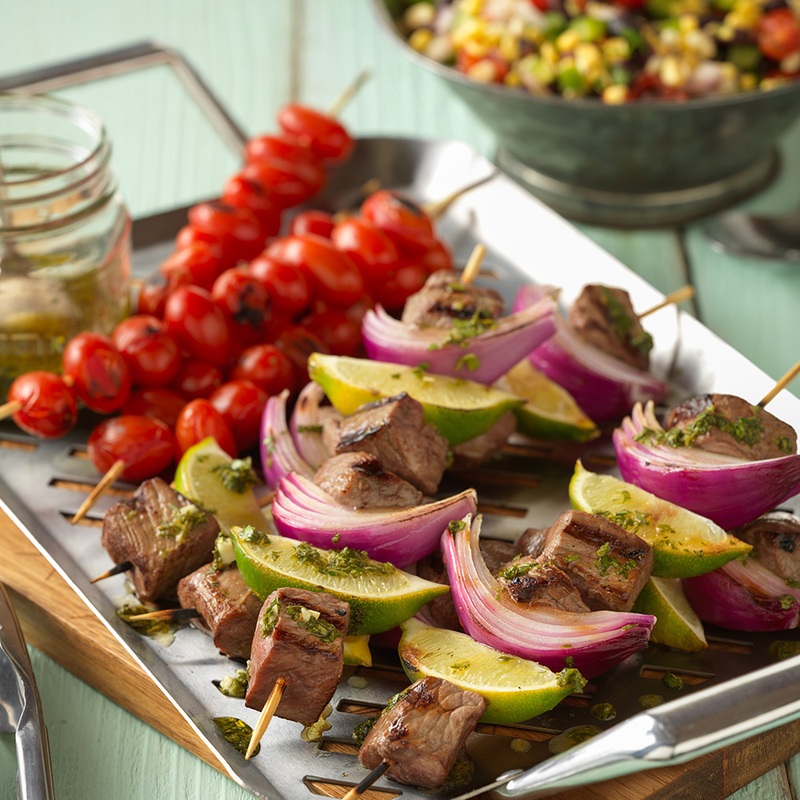 Alternately thread beef with lime and onion wedges evenly onto four 12-inch metal skewers. Thread tomatoes evenly onto four 12-inch metal skewers. Place kabobs on grid over medium, ash-covered coals. Grill tomato kabobs, covered, about 2 to 4 minutes or until slightly softened, turning occasionally. Grill beef kabobs, covered, 8 to 10 minutes (over medium heat on preheated gas grill 9 to 11 minutes) for medium rare (145°F) to medium (160°F) doneness, turning once. Serve kabobs drizzled with sauce.